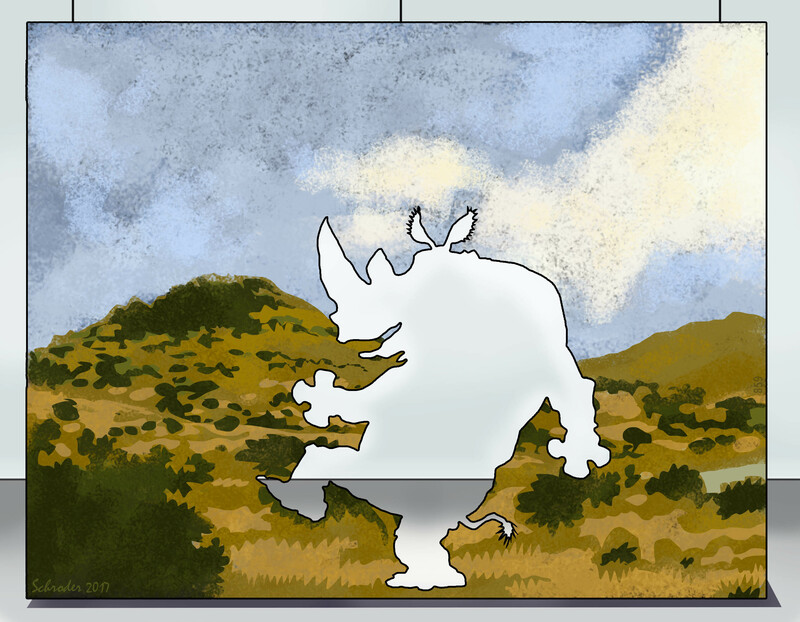 Today Your Inner Rhino is focusing on Context- where We are and what’s going on there and are We paying attention? No Rhino is free of place and time, except mentally. We are each part of a bigger something, and that in turn is part of even bigger somethings, and so on. We thought it was high time to credit, not ourselves, but the Everything Else.